The Pairs Head 2018 will be held on Saturday 6 Oct at 3pm. The race will start at The Boat Race finish post downstream of Chiswick Bridge and finish at Harrods Wall downstream of Hammersmith Bridge, approx 4.5km. 1The maximum weight for these events is in line with British Rowing rules for the winter period. For men max weight is 75kg, and for women max weight is 61.5kg. All lightweight competitors must meet this limit; there is no additional average crew weight restriction. Any crew that entering lightweight but fail to weigh in successfully will be moved into the equivalent open weight category. Weigh in arrangements will be emailed out to entrants. 2Please contact us to discuss your requirements. 20.08.2018 – Notice and website updated to include Adaptive 2-. J16 2x only. 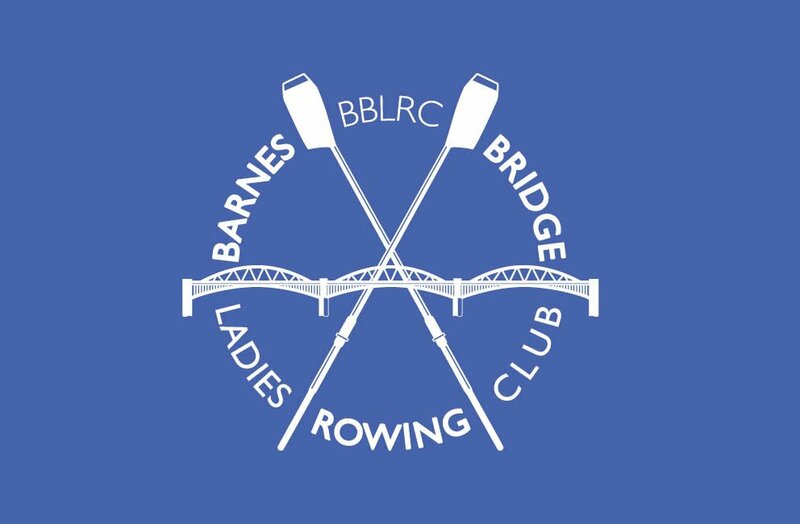 The Pairs Head of the River Race is an annual event proudly managed and run by Barnes Bridge Ladies Rowing Club. Entries are now CLOSED as we have reached capacity. You may continue to make substitutions and payment through BROE2. If you have any queries about entries please use our contact form. A few minor adjustments to the Start Order where 50/50 split for odd number of crews. Note the bands are baselined and will not be adjusted. Club Admins must contact us when a substitution may move the crew into a higher category. Details of bands have been provided to Club Admins. We can change your host club, however the ‘Number collection location’ will not. Your crew will need to arrange to collect their number from the noted on the Start Order v3.0. Band ranges are not fixed, eg ‘Club’ band will not be the same point range across different categories, they are determined by the sizing described above. If your experience is not reflected in your assigned category, and you feel you should be placed in a higher category, please let us know using our contact form. Each year the Pairs Head committee hold a prize giving at the Civil Service Boathouse, home of both Barnes Bridge Ladies and Cygnet Rowing club. Well done all our Pennant Winners in 2017. Thank you to George Nash, for presenting at our Prize Giving 2017. Photos of the event are available to view on our Facebook page. 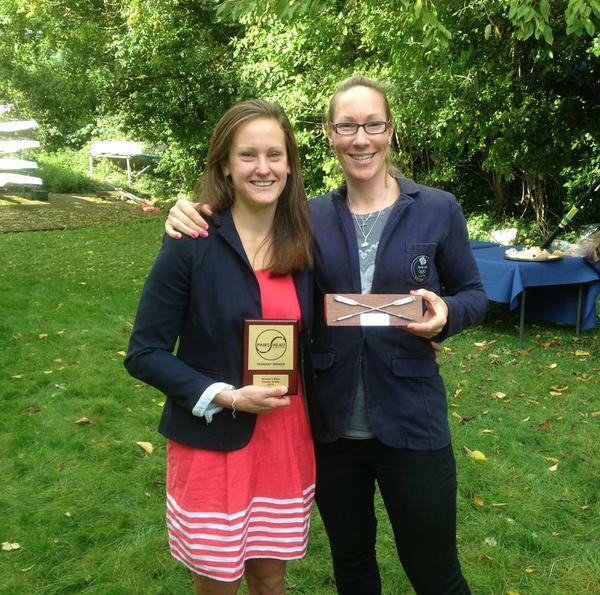 In 2014 the Pairs Head Committee introduced the Anna Roots Trophy for the fastest Women’s Pair. Anna was tragically killed during a charity cycle ride from John O’Groats to Lands End. Anna was a well loved, successful Tideway rower and regular Pairs Head competitor. 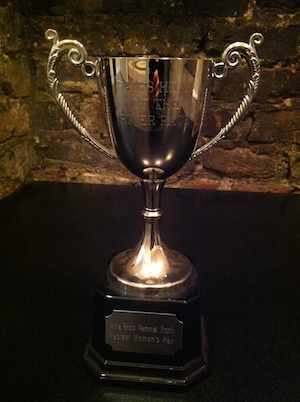 In 2013 the Pairs Head Committee introduced the Amy Gentry Trophy for year the fastest Women’s Double Sculls. This beautiful Trophy, kindly donated by John Langfield and Catti Moss, is a tribute to Amy Gentry, founder of the Weybridge Ladies Amateur Rowing Club, celebrated sculler and pioneer of women’s rowing. Please complete this form to send an enquiry or message to the Pairs Head team.